Tooth extraction, also known as tooth pulling, is a minor oral surgery that involves the removal of the tooth from the socket in the jaw bone. It is performed by a dentist or oral surgeon. Today, dentists are trying their best to save their patients’ teeth whenever possible by tooth fillings, root canal treatment, and crowns. If the tooth is too badly damaged, they use the tooth extraction as a last resort for example when a tooth is badly damaged due to accident or extensive dental caries. Or even if gum disease (periodontitis) left untreated and has spread to the supporting tooth tissues, leading to tooth mobility. Sometimes healthy teeth are extracted when the orthodontist needs a space during the treatment of teeth crowding, a tooth can not break through the gum (impacted), or a tooth erupts in the wrong place. Our teeth can last a lifetime. However, there are several reasons for tooth extraction. Most commonly, a tooth is just too badly damaged due to accident or extensive dental caries. A tooth extraction should only be performed if the tooth is no longer restorable with all other conservative methods such as tooth fillings, root canal treatment or dental crowns. Or if the preservation won’t be useful. Damaged tooth: if the tooth is too damaged due to accident or dental caries and can’t be restored. Lack of space: as a part of orthodontic treatment, healthy teeth can be extracted to create a space for crowded teeth. Tooth mobility: the advanced stage of gum disease (periodontitis) can cause the loss of bony support around teeth. Vertical root fracture: a tooth with a crack that extends below the gum line or vertical root fracture is no longer treatable and the tooth will need to be extracted. Supernumerary teeth: it is a condition characterized by having an extra number of teeth. Usually, these teeth are extracted as a part of orthodontic treatment, to allow the eruption of other teeth, or for aesthetic reasons. Wisdom teeth: usually, they are extracted if they are decayed or get stuck in the jaw (impacted). Minimizing the risk of infection: in patients with a weakened immune system, infected teeth may need to be extracted. This prevents these teeth from worsening an existing medical condition or complicate treatment. This applies to an organ transplant, chemo- or radiotherapy, and heart valve replacement. 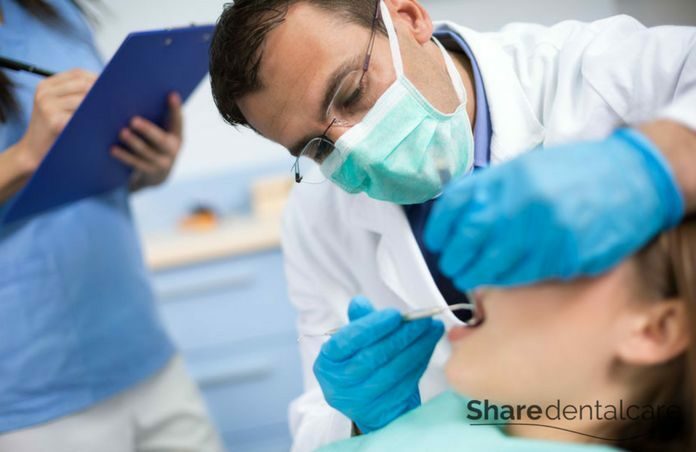 Patient’s desire: a tooth extraction can be performed if the patient refuses any conservative methods to save the tooth but still needs to be relieved of his pain. Also, if the patient can’t financially afford the cost of necessary restorative measures for example dental crowns. Tooth extraction can be categorized into simple and surgical. It is performed on teeth that are above the gum line. The dentist grasps the tooth with a dental forceps and gently moves it back and forth to loosen the tooth. Then, he/she removes it. Also, a dental elevator is used to lift the tooth to facilitate its removal. Finally, the dentist uses a gauze pad to close the wound and stop the bleeding. It is performed on teeth that broken under the gum line or haven’t erupted fully. First, the dentist makes an incision with a scalpel. Then, he/she elevates the gum with a “periosteal elevator” and removes the bone that covers the tooth. In some cases, the tooth must be sectioned into multiple pieces to facilitate its removal. A few stitches are necessary to close the wound and stop the bleeding. Tooth Extraction Procedure: How Does It Work? Previous or existing medical conditions. Medications that you are taking. After that, the dentist examines the condition of your oral cavity and the affected tooth. Also, he/she takes a few x-rays of the affected tooth and adjacent structure. Local anesthetics make tooth extraction painless. The dentist injects an anesthetic into the tissue near the tooth (usually lidocaine or articaine) to eliminate the sensation of pain. For anxiety patients, a general anesthesia is recommended. If the tooth is visible (above the gum line), the dentist will use a dental elevator to lift the affected tooth and a dental forceps to extract the tooth by gently moving it back and forth to loosen it from the bone. If the tooth is broken under the gum line or impacted, the dentist will make an incision, elevate the gum tissues, and removes the bone that covers the tooth. In some cases, the tooth must be sectioned into multiple pieces to facilitate its removal. Finally, the dentist places a gauze pad on the extraction wound and makes you bite on it to stop the bleeding. Sometimes a few stitches are necessary to close the wound. Fracture of the tooth crown or root. Injury to the adjacent structure such as adjacent teeth or nerves. The extraction wound usually closes during the first week. In the first 24 hours after tooth extraction, proper behavior is important to stop the bleeding, minimize the risk of infection, and speed the healing process. Bite on the gauze pad for a half hour to stop the bleeding. Don’t spit forcefully and don’t touch the extraction site with your tongue or finger to prevent the dislodging of the blood clot and speed the healing process. Apply an ice pack to the affected site to prevent the swelling. Avoid aspirin because it inhibits blood clotting. Limit your activities and avoid exercise for the next 24 to 48 hours. Avoid rinsing for the first 24 hours. Avoid smoking, alcohol, and caffeine (coffee and black tea) because they promote the bleeding tendency. Rinse with a warm saline solution after 24 hours. Brush your teeth with a soft toothbrush and avoid the extraction site. Previous articleHow Long Does a Dental Bridge Last?